Bang & Olufsen is a Danish company founded in 1925 by Peter Bang and Svend Olufsen. Since then the company became a world reference in luxury and Design. They are specialized on Televisions, audio products and telephones. Today the company’s CEO is Tue Mantoni and has opened a factory in Czech Republic that employs 250 people for the high quality audio devices. Certain products of the Brand became iconic and represent a must in modern technological design. Bang & Olufsen is present in more than 100 countries in an extensive distribution network. Besides entertainment products for the home environment, Bang & Olufsen applies it acoustic skills and design competences in creating high-performance sound systems for the high-end car industry, bringing the entertainment experience to a new level. Their claim is “Beauty in every detail”. They also often claim dedication without compromise. Now they are launching a new system of surround sound for home. Their aim: make a revolution in terms of surround sound. for that they introduce BEOLAB14, a completely new experience in terms of sound. The idea of the new BEOLAB14 is a perfect match between outstanding design and cutting edge audio technology. This new collection blends perfectly into your interior and even it highlights it thanks to its minimalistic design. The Subwoofer is a unique piece of art with very specific technical points. Definitely a state of the art. We can see that every single detail was taken care, so no room for luck. Only know-how matters. As we know the subwoofer is the key piece in a high quality sound system. It procures the depth and the surprising effect during your preferred concert, movie or music. Check out here some interesting specifications. The bass port has been specifically engineered for tight, well defined bass. You’ll be stunned at how a concert or film bursts to life inside your very own living room. 6 powerful class-D amplifiers ensure incredible sound performance. Delivering 5 x 140 watt for the satellite speakers and 1 X 280 watts for the subwoofer. Bang & Olufsen’s sound engineers have done their utmost to fine tune BeoLab 14’s digital signal processing to unleash the most profound and exacting listening experience. The magnet inside the 8-inch bass driver has been strengthened to deliver greater bass precision and its extra weight will keep your subwoofer firmly grounded even at full volume. This amazing subwoofer blends perfectly with your interior environment. It can be discreet or become a masterpiece in your living room. So that you enjoy amazing experiences without the look of a classical surround sound system. Other features: Room adaptation with adaptive Bass linearization (ABL), thermal protection, line sense – auto on/off, phase adjustment and LFE adjustment. In terms of connections, there are 3 x power link including 6 Line by Power Link, 1 x A/V multi connector and 5x speakers. Nothing to add more on this powerful piece of audio craftsmanship. BeoLab 14 can be connected directly to all newer Bang & Olufsen televisions with a built-in surround sound module. To connect BeoLab 14 to a television without a built-in surround sound module, an external A/V receiver is required. The Brand a couple of videos to explain more about the work they do and how to highlight the different know-hows during the entire process of manufacturing the best audio products in the world. Very interesting to see how proud everybody is to work for Bang & Olufsen. The company also share its know-how with several external partners like in the automobile industry. The new BEOLAB14 satellites were produced thanks to a several years of experience on the aluminum work craft. From one single piece of aluminum, they create a super solid and hightech thick ring. Check here a couple of videos that explains step by step the huge amount of work that every single step on the production of Bang & Olufsen products is taken. Beautiful. 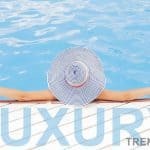 So I hope you will be seduced, at least as much as the edition of Luxuryactivist.com. Amazing people doing amazing things can only be successful through time. No room for mistakes, perfection is the key. Info sourced at the brand official content and website on Be On. All content is copyrighted with no reproduction rights available. Bang & Olufsen, state of the art. Discover these 2 must-have. DEVIEHL London, Coffee is a luxury experience. Rolls-Royce Ghost – the last luxury car?